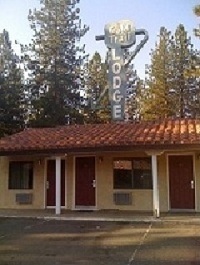 Gold Trail Motor Lodge - Hotel Motel Lodging accommodations in Placerville, CA. Centrally located at new exit on Apple Hill! 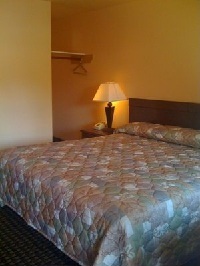 The Gold Trail Motor Lodge is located in Placerville, California in the heart of Gold Country. It is 45 miles east of downtown Sacramento, 55 miles west of South Lake Tahoe and centrally located on Apple Hill. Conveniently located right off of Highway 50, the Gold Trail Motor Lodge is perfect for travelers looking to explore California’s Gold Country. Visitors can enjoy downtown Placerville as well as the wineries and vineyards of Apple Hill. The Gold Trail Motor Lodge is located right next to the MotherLode Motel. The pool at MotherLode Motel is available for the guest at Gold Trail Motor Lodge to use. We provide several of the amenities found in larger hotel chains, but at the budget rates you’re looking for. We look forward to your stay with us at the Gold Trail Motor Lodge.